Once a year Me & Richard have the pleasure to taste champagnes with one of my heros in the Champagneindustry, Jean-Hervé Chicquet. J-H came to Stockholm and arranged a tasting with their Swedish importer Vinovum at Brasseri Bobonne. A bistro that I have mentioned earlier for thier exellent food & wine matching skills! 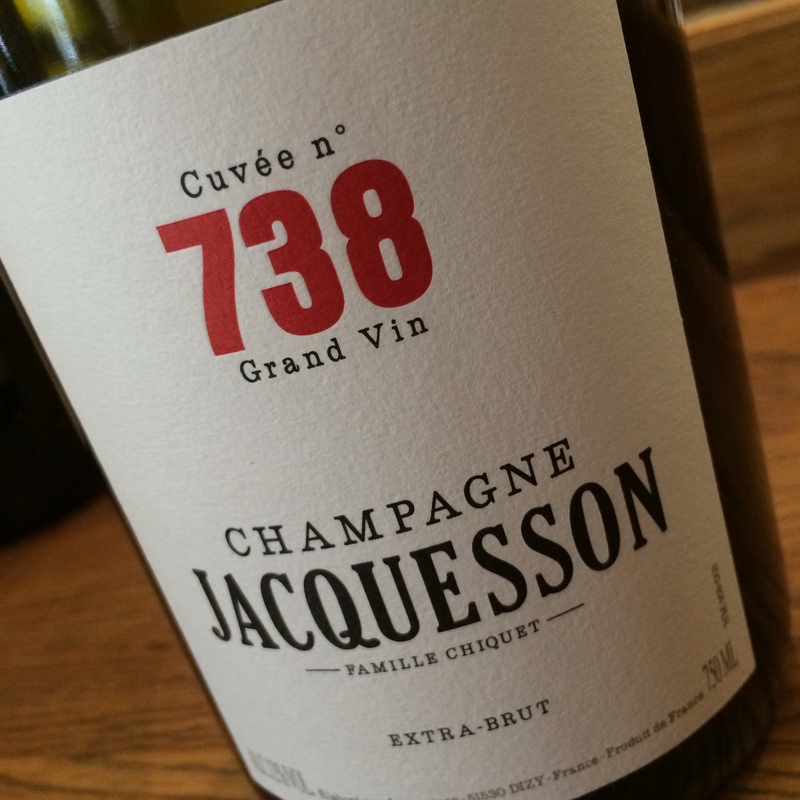 RICHARD ON JACQUESSON Founded in 1798 in Châlons-sur-Marne—was one of the first Champagne houses. It didn’t take them long to become a famous firm. Their reputation wasn’t hurt either when Napoleon, visiting the company, bestowed a gold medal on Jacquesson in recognition of their beautiful cellar. America became their foremost export market recently old Jacquesson bottles were found aboard a wreck named the Niantic. 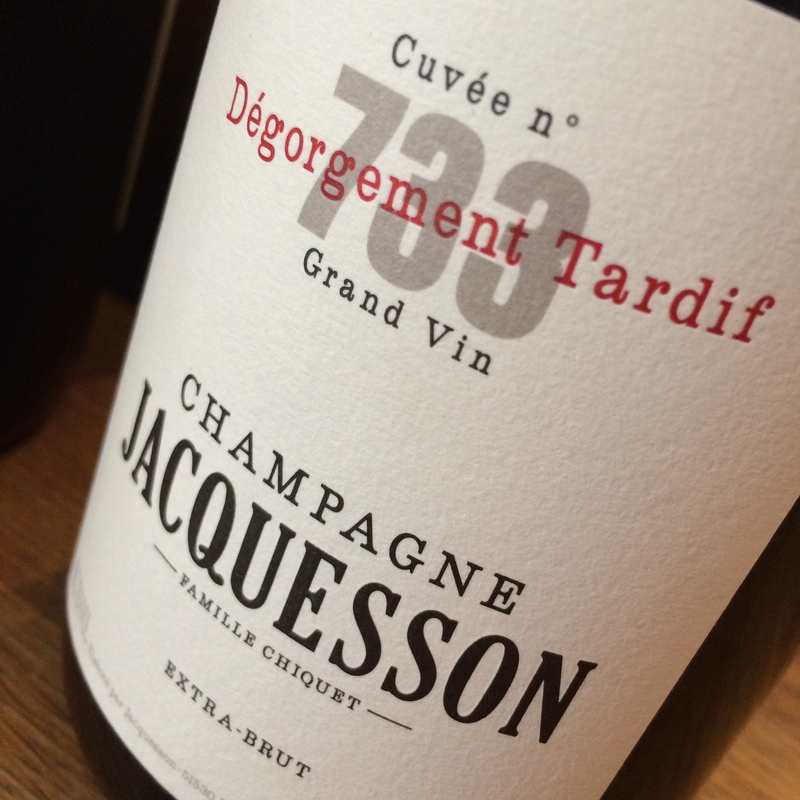 By 1867 Jacquesson had already sold one million bottles, but after Adolphe Jacquesson’s death a sharp decline set in. 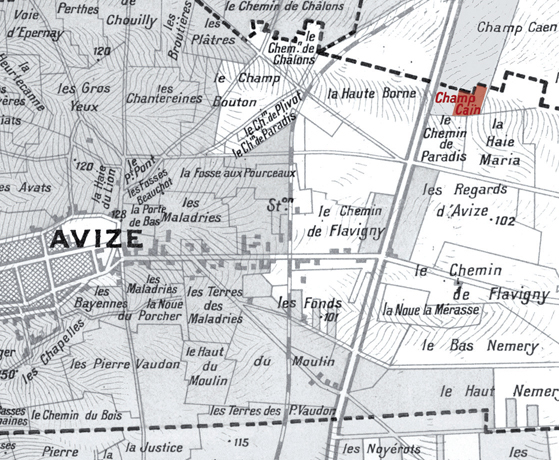 Leon de Tassigny took over in 1920 and bought the fine vineyards they own today in Avize, Aÿ, Dizy, and Hautvillers. Still, the quality didn’t reach the level of the 1800s. For a long time the company played second fiddle, until Jean Chiquet bought the noble house in Dizy in 1974. 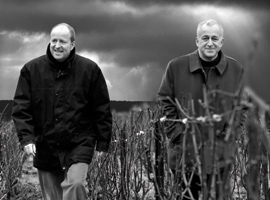 Today, the company is run by his two determined sons: Laurent (vintner) and Jean-Hervé (businessman). When I first met Jean-Hervé in 1990, he told me that they were aiming for the very top. All new investments were made with quality in mind. The second pressing was sold, the proportion of reserve wine and oak barrels was increased, a greater amount of grand cru grapes was bought in. Today, this costly venture is beginning to bear fruit. The nonvintage is brilliant, and has now been given a number to differentiate it from the other blends. The pretsige cuvées are now among the best every year. 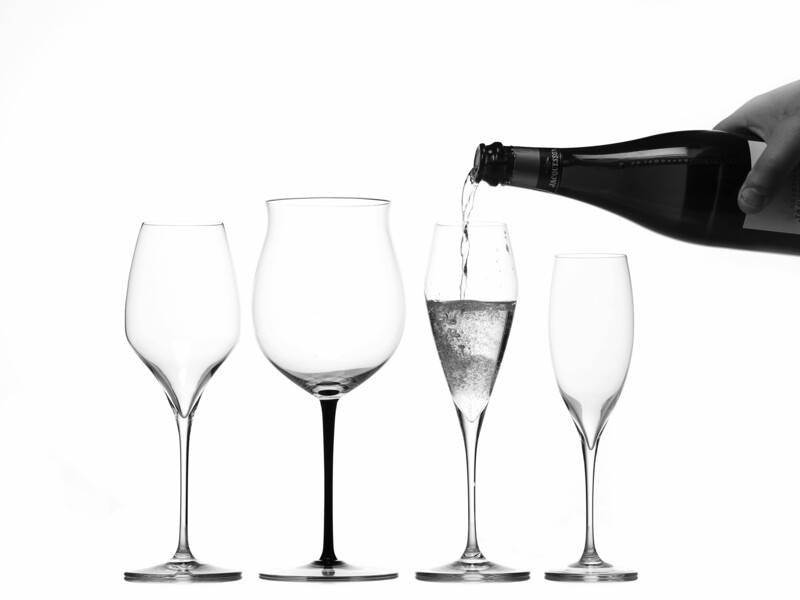 Moreover, they have some of the oldest commercially available Champagnes in their D. T. series. In the future, several exciting mono-cru wines will be launched, so keep your eyes open. The Chiquet brothers won’t give up until they reach the absolute top. Jacquesson is one of the most interesting houses today, giving fantastically good value for money. I am so impressed by their latest release that I awarded them 5 stars! 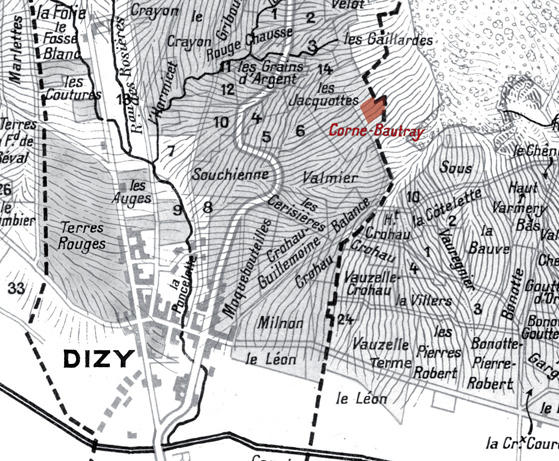 JACQUESSON & FILS ‘DIZY CORNE BAUTRAY’ 2004 | 100 CH | TASTINGNOTE ’The Chiquet Brothers have made only 750 bottles from this exceptional plot that has vines planted in the great year of 1959. It is striking to see how well the house-style is retained with all the bottles that have passed through Jacquesson’s cellar. As always, the house’s special spicy, appley-fresh style is evident. The acidity is impressive, as are the mineral notes. The nose is beautiful and personal, with hints of mini-banana, mirabelle, tobacco, leather, smoked meat, and yellow roses. The taste is impressively rich and really intense. I’m not as impressed by this single vineyard as Laurent. ’ RJpoints 90(93). 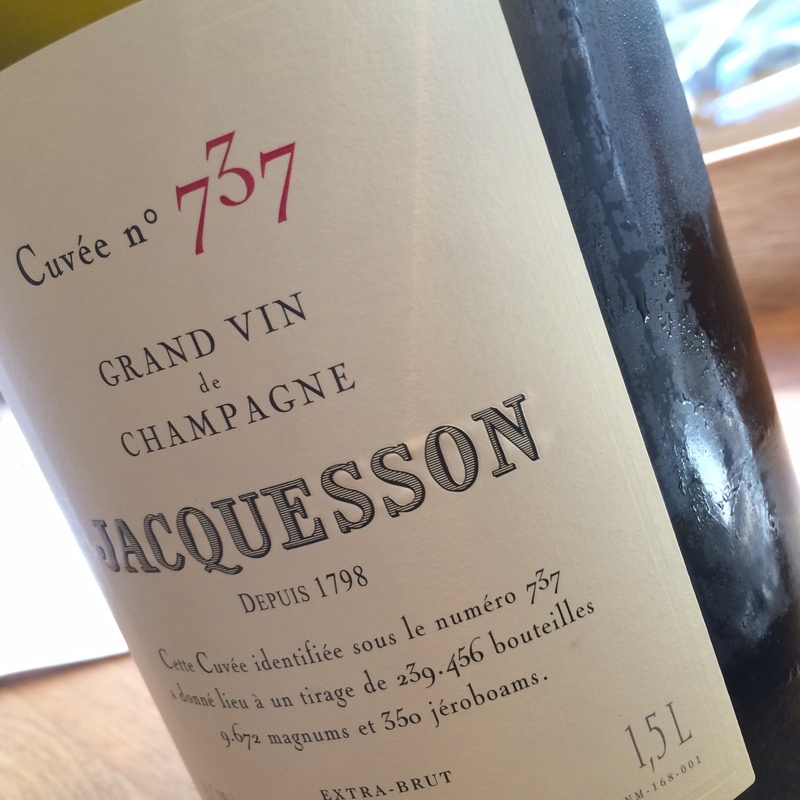 MORE ON THE 2004: Corne Bautray is on the way to the top of a hill above Dizy and greatly impressed with the harvest of 1995, and Jacquesson made a cuvée from it. (2000 was the first commercial version). The 9000 vines, planted in 1960 of 1 ha and grown in relative thick topsoil. The soil consists of a layer of soft clay filled with gravel to a depth of three meters, which provide good drainage. Vinification: in 40 hl oak barrels, stirring the lees (battonage) and then complete malolactic fermentation. Racking (soutirage) in two rounds before bottling without filtration in June 2004. There were wine eight years on its lees before degorgering in February 2012. No sugar added (dosage). The result was 4684 bottles and 306 Magnum. For the Swedish market 72 bottles. 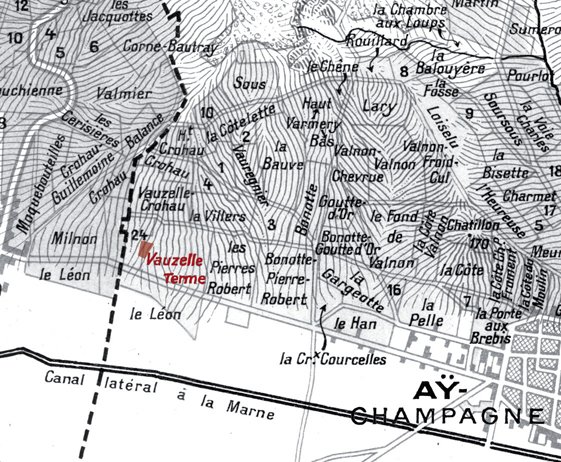 MORE ON 2004; The vineyard was planted in 1962 with 12 000 vines on 1.30 acres. Vinification: In 75 hl oak barrels, stirring the lees (battonage) and then complete malolactic fermentation. Racking (soutirage) in two rounds before bottling without filtration in June 2004. There were wine eight years on its lees before degorgering February 2012. 1,5 g / l sugar added (dosage). From this vintage ‘Extra Brut’ is stated on teh label. The result was 5982 bottles and 252 Magnum. For the Swedish market 148 bottles. MORE ON 2004: The vintage1996 favored Pinot Noir, and three quarters of an acre in Vauzelle Terme Lieu-dit stood out for the Chiquets. Corne Bautray showed the way in 1995 and 1996 bottled the very of the exceptional Vauzelle Terme. 2500 vines were planted in 1980 on 0.30 acres and grows in limestone mixed with a little clay, with chalk bedrock. Vintage 2002 was the first release of this Blanc de Noirs. It was a hot and sunny summer with cool nights, resulting in a generally dry year, much like 1976. Vinification: in 20 hl oak barrels, stirring the precipitate and then complete malolactic fermentation. Racked twice before bottling without filtration was June 2004. There were wine eight years on its lees before degorgering February 2012. 1,5 g sugar added (dosage). The result was 1852 bottles and 148 Magnum. All three single vineyard Champagnes where released on the market in September/October 2013.